Don Moye, percussionist with the Art Ensemble of Chicago, was interviewed by Henry Kuntz on the afternoon of March 11, 1975 in a small practice room in Oakland, California. Henry Kuntz: I have a sense that the Art Ensemble is rather split up at the moment, because people are all over the country. Lester Bowie is in New York, Roscoe Mitchell is in Michigan, and you’re here. Is this a usual situation ? Don Moye: Yeah. Everybody be doing their thing. There’s been times when Joseph’s been in Europe, and Lester has always been in St. Louis. So when we’re not working, this isn’t anything out of the ordinary. Henry Kuntz: How many months out of the year does the Art Ensemble work together or practice together ? Don Moye: We pretty much get together when we have a gig. Like last year, we were out of the country about six months. So in that time we were working and practicing. The concert we did here a couple of months ago, we got together a couple of weeks before that. Henry Kuntz: So that’s the usual way it would happen, with each of you pursuing different things the rest of the time ? Don Moye: Yeah. I’ve been pretty much staying in Chicago myself, but I’ll probably be moving around more now. Henry Kuntz: Did you feel satisfied with the Solo Concert you did in Berkeley a couple of weeks ago ? Don Moye: I was pretty satisfied with it for what it was. It was similar to what I usually do, though the material is always changing, depending on what I’ve been working on. So whatever I happen to be dealing with at the time, I try and work in some of that. But that’s pretty much the form. Henry Kuntz: The program for the concert listed a number of separate pieces, some your own, some traditional. From the audience, it was sometimes difficult to tell where one piece ended and another began. Was it simply that the rhythm changed ? Don Moye: It was that, and different areas of sounds, different instruments, different songs, and so forth. I don’t really like to stop between pieces. Henry Kuntz: That seems similar to what the Art Ensemble does. I wonder with the Art Ensemble how much work is involved in making things like that flow together ? Don Moye: Well, we don’t really work on that, we just work on the music, and then whatever happens… We try to leave an element of surprise, surprise for us too, to leave room for something to happen if somebody wants to do something. But we have an idea of things we’re going to do. We might say we’re going to do that and that and that, but that might be only five or ten or maybe fifteen minutes of the music. A lot of times, if somebody has something specific they want to do, we do that. Otherwise, we just rehearse old material until we get to the place where we’re going to play. It’s never all laid out. We have a list of things that we sit down and rehearse. We might have a list of twenty or thirty tunes that we want to work on. Then we’ll just be rehearsing through those until the time for us to go to the gig. We might not even get through all the tunes, because it takes a while, a few days, to get all loosened up. Henry Kuntz: Can you change in the middle of a program or do you decide right before you go on stage to do this and this and this ? Don Moye: It’s no set thing, because sometimes we might plan a program, then other times we change. But it’s kind of a mixture of the two. Henry Kuntz: Is there any one person, more than another, who determines things when you’re out on stage ? Don Moye: No. It depends if the particular composition happens to feature somebody or something like that, then they can kind of be the fire, but there’s no set pattern. There is and there isn’t, because we kind of develop a pattern of our own. Henry Kuntz: How is it that you came to join the Art Ensemble ? Don Moye: I happened to be in Paris in 1970. I was working with Steve Lacy. I was working with a lot of people at the time, but I happened to be working with Steve Lacy at that particular moment. The Art Ensemble had been trying out a lot of drummers but none had worked out, so I threw my hat in the ring. And it worked out alright. Henry Kuntz: Had you been in Europe very long ? Don Moye: I had been in Europe for a year and a half. I went over with a group called Detroit Free Jazz. We worked in Copenhagen, Amsterdam, Switzerland, Germany, Austria, Italy, Yugoslavia, Morocco, Belgium… So we moved around quite a lot. That group dissolved in Copenhagen, so I went to Rome. I was freelancing around Europe. I worked with Gato Barbieri, Sonny Sharrock, Steve Lacy, and cats like that. Then I gradually worked my way up to Paris where I worked with Dave Burrell, Alan Silva, Muhammed Ali, Frank Wright. I made a record with Dave Burrell called After Love. Then the Art Ensemble thing came. At the time, I was pursuing my usual percussion studies. Henry Kuntz: Did the Art Ensemble’s music seem to change any after you joined them ? Did they have to accomodate themselves somewhat to what you do ? Don Moye: Well, it worked both ways. A lot of the stuff they were doing, I had to familiarize myself with that. Then, by the same token, I brought a lot of things in that broadened the percussive approach, because I was already a complete percussionist. And in a sense they were too. That was one of the reasons we were able to make the transition so easily, because by playing congas, marimbas, bells, and stuff like that, I was moving in their direction already. Most of the drummers weren’t playing congas or anything. They were just drummers. Steve McCall was one of the other cats who was doing more than just that. Henry Kuntz: Had Steve worked with the Art Ensemble ? Don Moye: Yeah. When the Art Ensemble came to Paris, he had already been over there. He had come over with the Leroy Jenkins, Braxton, Leo Smith group. And they were all AACM (Association for the Advancement of Creative Musicians) members, so there was kind of a grand reunion in Paris. And a lot of good things came out of that. Henry Kuntz: What is your background as a percussionist ? I understand that you studied with certain people. Henry Kuntz: I wonder why there’s been so little work in the area that you personally have been working in, the area of solo percussion. With the music’s sources being so largely african, it seems that it has taken a long time to get to a point where a percussionist will feel comfortable going before people and playing alone. Don Moye: Well, it’s a lot of work for one thing. And it costs a lot of money to carry so many instruments around, to get enough instruments – this is from my point of view – to present a varied enough program. A horn player can just take his instrument to the gig and that’s it, but with drums, it’s the same old problem. You have a limited budget and a lot of equipment, and you end up handling most of the stuff yourself. So that’s one of the major limitations right there. There are plenty of cats around who are strong enough to handle a solo presentation, but it’s just the equipment and the manpower that’s the problem. Henry Kuntz: Is it possible you might make a solo record ? Don Moye: Oh yeah, I’m going to definitely do that. I have a lot of plans right now. I just need some money. Henry Kuntz: When did you begin doing solo work ? Don Moye: The first completely solo thing I did was at Michigan State in 1973. I had done things before that, duos. Steve McCall and I used to do percussion duos. Then I had a drum ensemble in Chicago called the Malinke Rhythm Tribe. We used to do things around. But I’ve been doing things like this for as long as I’ve been playing. So it’s been a gradual development to the solo concept. Henry Kuntz: Is your music growing in some particular direction ? Don Moye: It’s growing in a lot of directions which is one of the problems I have. Because I don’t have as much time to spend in each area to really fully develop it. I hear a lot of things. But I’m not really at ease to pursue them all because I have to survive. But it’s definitely growing. What I’m really starting to study more are traditional African forms. But at the same time I’m trying to deal with contemporary forms. It’s kind of a mixture of that. I say that very generally because it’s very general. I don’t have a specific area that I’m trying to deal with, like any particular style or anything like that. I’m really trying to develop something of my own style, but with all these things included. Henry Kuntz: What kind of music are you listening to now ? Don Moye: I’ve been listening to a lot of music from Dahomey, Guinea, Senegal, Mali, places like that, and just a pretty broad spectrum. I’ve been listening to a lot of koto music and shakuhachi music, and indigenous forms here and there. Henry Kuntz: Are there specific people that you listen to ? Don Moye: Well, I just kind of listen to things that I like, because lots of times individual musicians aren’t mentioned. There are some cats I really like, but I can’t even remember their names. There’s one cat from Senegal who plays the kora, but I can’t remember his name now. Henry Kuntz: Do you also listen to people more like yourself ? Don Moye: Oh sure. I try to keep up with the latest developments in the music I’m directly involved in – people in New York like Oliver Lake, Julius Hemphill, Charles “Bobo” Shaw, and cats like that. 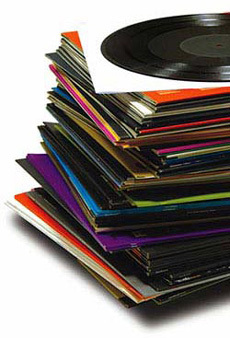 I don’t buy that many records because it would cost too much, so that’s never been too much of a priority with me. But traveling around, I get to listen to a lot of people. It’s pretty much the same thing except with records you can concentrate more on a specific area than you can just going around. But I’ve had a chance to hear quite a few people in the last year. Henry Kuntz: Do you feel good about the direction that the music is going in right now ? Don Moye: Not especially. The music is going OK, it’s been distilled pretty strongly. But the direction that the lives of the people creating the music are forced to go in is pretty negative. We don’t have any control over our destinies in the music. That hasn’t changed, and I don’t see much happening that’s going to change it, except the whole concept of people putting out music themselves, producing it as well as creating it. That’s the only chance we’ll have, because otherwise… You know, I was thinking the other day: the AACM members, performing members or whatever, have been directly involved in the production of about 45 or 50 albums. George Conley wrote out a list, and of those 45-50 albums, we don’t have control over any of them. So that’s pretty indicative of the situation as it exists today. It hasn’t Improved, and that’s all in the period of the last ten years, since Roscoe did Sound, and Braxton did Three Compositions, and Muhal did Levels and Degrees of Light, and Kalaparusha did Humility and Joseph did Song For… since 1965, our situation really hasn’t changed. Don Moye: Not so much distribution, but just economically over some of the profits that are being made off of the music. I’m just talking about having some kind of system set up where we can receive some money from our efforts. Henry Kuntz: You’re not getting any money from the records you have out ? Don Moye: We’re getting token royalties, but that’s nowhere near the total amount that’s being made off the music, because there are people who have record companies that distribute our records that make a lot more money than we’ll ever see from our efforts of producing those records. Henry Kuntz: Julian Priester has put forth the idea around here of every musician on any record receiving royalties and not just the leader. Don Moye: That’s another thing. The publishing companies try to isolate one individual out of a group and give them everything as a means of controlling it more. That’s what they’ve done in the past. They take a “star” and record him with other people that they think will make a commercial success of the record rather than using people that he works with all the time who know his music better and can play it how he wants. Henry Kuntz: Has ‘Atlantic’ put any pressure on the Art Ensemble to do any particular thing ? Your last record, for example (Fanfare for the Warriors) was made up lots of short tracks and, to me, it was somewhat disappointing after hearing you play much of the same material in concert here. Don Moye: Well, we prefer “live” performances, but I didn’t feel there was any kind of pressure in that situation. It was just another way of dealing with the same thing. Henry Kuntz: As far as the music in general is concerned, it seems like there’s much less experimentation now than there was, say, ten years ago. I wonder if you feel that ? Don Moye: Yeah. I feel that myself. Most of the people I know are still involved trying to create original pieces and everything, but the mass of music being put out to the public today is something else. They’re trying to get one kind of sound that’s easily marketable and commercial sounding, at the expense of the new forms. So I feel like they’re trying to destroy the music or to get more control of it so they can make more money off it. You get people dealing with the more creative forms, and it’s more difficult to control that. Henry Kuntz: Do you hear some younger musicians coming along ? Don Moye: All the time! There’s younger cats all over trying to play the music. But the problem is exposure. Not so much exposure to the public as exposure to the forms of the music itself. For example, people are always asking me how to get our European issues, and I don’t know what to tell them, because I don’t have all of them myself. Henry Kuntz: Is there anything else you’d like to say ? Don Moye: I’d just like to say that this year is the tenth anniversary of the Association for the Advancement of Creative Musicians, so we’re going to be having festivals and concerts all over the world. Don Moye, sometimes referred to as Famoudou Don Moye, (b. May 23, 1946) is an American jazz percussionist/drummer. He is most known for his involvement with the Art Ensemble of Chicago (AECO) and has noted as being a master of African and Caribbean percussion instruments and rhythmic techniques. Moye was born in Rochester, New York and performed in various drum and bugle corps during his youth, as well as church choir. Moye has commented that he really “didn’t have an affinity for the bugle … and just kind of gravitated towards drums.” He also took violin lessons during this time. Moye was exposed to jazz at early age since his mother worked for a local social club that had a jazz club next door that hosted musicians such as Kenny Burrell and Jimmy McGriff. His family was also musically inclined; his uncles played saxophones and his father played drums. Also, his mother used to take him to various performances as a child, such as “opera under the stars” and to see Mahalia Jackson. Moye went on to study percussion at Wayne State University in Detroit, Michigan. Moye lived in a building with trumpeter Charles Moore, who became his mentor. Moye also played in the groups African Cultural Ensemble, which included musicians from African countries such as Ghana, and Detroit Free Jazz, which was Moore’s band. It was at this time that he first encountered the Association for the Advancement of Creative Musicians (AACM) due to the revolving door of musicians in and out of Moore’s residence. In early 1968, Moore’s band traveled to Europe and Moye decided to live there for the next couple of years, touring and visiting the continent as well as Northern Africa. By 1969, the AACM had augmented into the percussion-less quartet of Roscoe Mitchell (piano), Lester Bowie (trumpet), Joseph Jarman (saxophone), and Malachi Favors Mughost (bass). The group crossed the Atlantic Ocean and arrived in Europe to perform throughout the continent. Moye at the time was rehearsing and performing in Paris, France at the American Center for Students and Artists, where musicians such as Art Taylor and Johnny Griffin practiced collectively. When Mitchell met with Moye again at the Center, he asked him to join his group, which became known as the Art Ensemble of Chicago shortly afterwards.